PARAÑAQUE CITY, Oct. 28 (PIA) – A joint agreement aimed to promote investments and formulate policy agenda that will enhance the business climate and competitiveness of Mindanao was signed Tuesday between the Philippine Chamber of Commerce and Industry (PCCI) and the Mindanao Development Authority (MinDA) during the 41st Philippine Business Conference (PBC) held here at the Marriott Grand Ballroom. The PCCI is the country’s largest business organization, while MinDA is a sub-national government agency mandated to promote, coordinate, and facilitate socioeconomic development in Mindanao. “We commit to work together to encourage investments in Mindanao and enhance further the competitiveness of key sectors in efforts to facilitate a more business-conducive environment in the island-region,” said Secretary Luwalhati R. Antonino, MinDA chairperson. She added the partnership will also focus on the conduct of policy dialogues on prevailing concerns affecting Mindanao’s business sector, specifically those that involve PCCI local chambers, industry key stakeholders, and trade associations. “Our goal is to develop and implement trade and investment promotion activities such as business matching sessions, exchange of information, and market analysis that will support investment generation in Mindanao. The deal also aims to strengthen the conduct of the Mindanao Business Conference (MinBizCon), the annual gathering of the biggest business players in the region and enhance further the participation of Mindanao in the BIMP-EAGA. BIMP-EAGA stands for Brunei Darussalam Indonesia Malaysia the Philippines East ASEAN Growth Area, an initiative launched in 1994 as a key strategy to accelerate social and economic development of less developed areas in participating countries. “In formulating the detailed work program for the agreement, a technical working group will be organized and represented by PCCI and MinDA,” said Antonino. She added that training and other capacity-building activities will be conducted among the members of the technical working group to strengthen knowledge and expertise in trade promotion and investment generation. Antonino said the PCCI and MinDA have been closing working for several years now in rallying Mindanao policy recommendations through the MinBizCon. Among these policy recommendations include the modernization of Mindanao’s agri-based industries, strengthening of the region’s logistics, power sector, infrastructure, tourism, and natural resource management. In a news statement, PCCI President Alfredo M. Yao said the 41st Philippine Business Conference focuses building strategies between the government and the business sector to intensify strategic synergies and alliances that would build and strengthen competitiveness in an integrated global marketplace. “The PCCI recognizes the tremendous potentials of Mindanao particularly its role in the development of the local economy, export growth, jobs creation, and overall international competitiveness of the country,” he added. Yao said Mindanao’s strength in agriculture and agribusiness and its burgeoning business process outsourcing are among those that will attract investments in the region, along with the emerging industries such as construction, infrastructure, creative industries, and research and development. He added that this year’s business gathering, which focused on the theme “One. Global. Filipino: Synergies in Partnership for Global Competitiveness.” highlighted the success stories and global and regional trends on business competitiveness, including strategies for business and economic growth, developing a world-class infrastructure and advancing international trade partnerships. BUTUAN CITY, Oct. 28 (PIA) - As the nation celebrates the Consumer Welfare Month this October, the Department of Trade and lndustry (DTI) Agusan del Norte Provincial Office once again encourages consumers to exercise their right to redress in case of any defective product or service or any misrepresentation encountered in buying their needs in the market. For this, DTI highlights its continuing efforts to protect consumers through the resolution of complaints filed with the Department. For the period January to September 2015, a total of 60 consumer complaints were resolved through mediation and facilitation of store Ievel resolution. Most of the complaints involve defective products, violation of warranty, deceptive sales acts, and imperfect service of repair shops, among others. 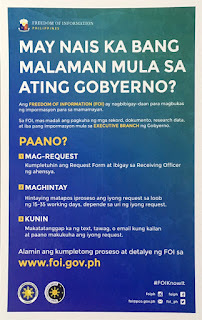 On the other hand, complaints not falling within the jurisdiction of DTI are properly referred to the right agency such as the National Telecommunications Commission (NTC) for complaints involving telecommunication companies, the LTO for those involving motor vehicle registration, the Department of Energy for those involving petroleum products and electricity, and to the Civil Aeronautics Board (CAB) for complaints filed by air passengers. 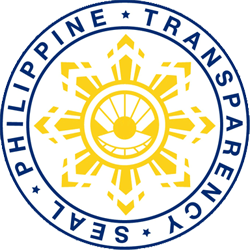 The other agencies that are implementing the Consumer Act include the DOH-Food and Drug Administration for food, drugs, cosmetics and devices; the Department of Agriculture for agricultural products; and LGU Treasurer's Office for weights and measures.